Catherine graduated from Aberdeen University with an Honours Degree in English and from Moray House Edinburgh with a Post-Gradute Teaching Certificate in English and History before studying the flute on her move to Inverness in 1982. Since then, she has gained Diplomas in both Flute Teaching and Performing. Catherine teaches flute at Aberdeen University; Aberdeen City Music School and the North East of Scotland Music School. She is also employed by Highland Region as a Woodwind Tutor. 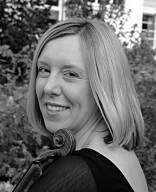 Catherine is a member of the Highland Chamber Orchestra and the Merlewood Ensemble. After graduating with a B.Mus., Margot taught and performed in Edinburgh, where she was principal oboe of Scottish Sinfonia. Since moving to Inverness in 1998 she has played as a founder member with the Merlewood Ensemble and the Highland Chamber Orchestra. Also a Recorder player Margot enjoys playing with the Scottish Recorder Orchestra with whom she recently visited Germany. A keen birdwatcher, she works as a volunteer with the RSPB helping with conservation of Slavonian Grebes. Isabel completed a Business Degree at the University of Stirling then returned home to the Black Isle to pursue her love of music with an Open University Diploma. She now has a private teaching practice and performs regularly also with the Animato String Quartet. Isabel is a keen runner and triathlete and also plays tennis and golf when time allows. Originally from Belfast, Northern Ireland Alastair is a Chartered Engineer and completed a Degree in Civil Engineering and a business degree at Heriot Watt University. He has lived in the Highlands since 1984. He studied violin and viola in Belfast under Jaroslav Vanecek and chamber music with Heinz Hammerschlag before embarking on a career in engineering. 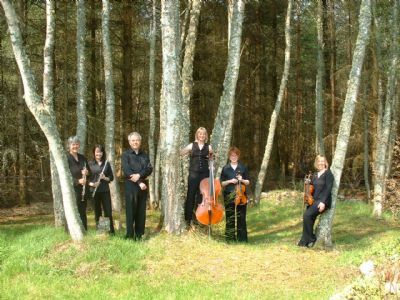 He was one of the founder members of the Highland Chamber Orchestra and although he plays purely for pleasure he has tried to keep up his orchestral and chamber music playing throughout his career. Imke received her first cello tuition aged 6 in her native Germany and went on to study to be a classroom music teacher, followed by a degree in cello, singing tuition and English. Concert tours with her former choir Junges Vokalensemble Hannover have taken her to various countries including Mexico, Venezuela and - as recently as 2010 – China. Since her relocation to Scotland she has become a member of the Highland Chamber Orchestra, the Culbin Singers of Forres as well as the Inverness based band Dorec-a-belle. In her free time Imke enjoys going hillwalking with the Moray Mountaineering Club and kayaking. Gordon was born in Inverness and studied music at Aberdeen University. Besides teaching and composition he is engaged in a wide range of other musical activities: in addition to his involvement with the Merlewood Ensemble, he is Conductor of the Inverness Choral Society, a member of the chamber choir Musick Fyne, and of the early music consort, Coronach, and is also active as an organist. 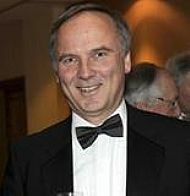 His compositions include instrumental, chamber and choral music, including Five Poems of Gerard Manley Hopkins commissioned by the Inverness Choral Society for its 70th Anniversary in 1990; Sololiquy for guitar, a commission from the Scottish Guitar Festival; and more recently an orchestral work, Tidescape, commissioned by the Highland Chamber Orchestra as part of Highland Year of Culture 2007.